We are happy to provide you today with a compendium of news from the REN21 network. As you will see on the following pages lots of activities occur within the REN21 Secretariat and its network. Events, publications as well as creative coalitions and consulting offers are available throughout the world to advance the global transition towards renewable energy. The REN21 Secretariat is working full-speed towards the launch of this yearâ€™s Renewables Global Status Report, which is planned for early June 2014. Once more it will illustrate the impressive progress in renewable energy deployment. In many parts of the world, we see renewables being mainstreamed into the energy system, thereby slowly, but continuously, changing its architecture. The current dynamic in the energy sector is synonymous with the on-going reconstruction of my apartment. Walls are being torn down and configurations changed. Yet one has an inkling of the new space and its potential, despite it not yet being fully tangible. Yes, it is destabilising as it changes the old equilibrium, but it is also exciting to see the new emerge, especially under the guidance of a visionary architect and skilled workers. As is in any renovation, hurdles and drawbacks stemming from the existing infrastructure need to be overcome; dialogue among all parties involved is central. 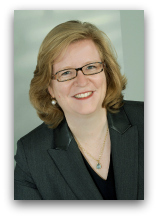 A successful transition in the energy sector is no different. I look forward to continuing this dialogue within and beyond our network and wish you an enjoyable reading of this edition of the REN21 newsletter. The second review round of the Renewables 2014 Global Status Report will start 4 April and run through 19 April, 2014. As in previous years, the review process will be done via REN21+, the on-line review tool. Your contribution to this process is important. The quality of the Global Status Report is due in part to the peer review process and allows REN21 to use both formal and informal data to produce this internationally referenced publication. If you are currently not involved in the GSR process but would like to be, please contact us. Since its creation in 2004, the REN21 Secretariat has had the privilege of collaborating with a number of talented individuals who have worked as interns, consultants, staff or Head of Secretariat. 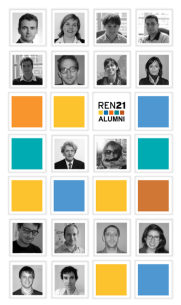 The new REN21 alumni network has been created to showcase that diversity of talent. The Alumni page allows users to see who has worked at REN21 and to get in touch with individual people. Give it a lookover! REN21 staff attended the IRENA Assembly 18â€“19 January and the World Future Energy Summit 20â€“22 January 2014, both in Abu Dhabi. Presentations were made at the IRENA job conference as well as at the WFES. Furthermore, REN 21 co-organised the IEA RIAB-IRENA side event: Renewable Energy Industry Cooperation in the Gulf Corporation Council (GCC) Countries and disseminated the MENA Renewables Status Report. At the Africa-EU Energy Partnership (AEEP) 2nd High Level Event in Addis Ababa, REN21 co-hosted two side events: Mini-grid Policy Toolkit Consultation Workshop and Closing the Data Gap Workshop. Staff also presided over a REN121 information booth. 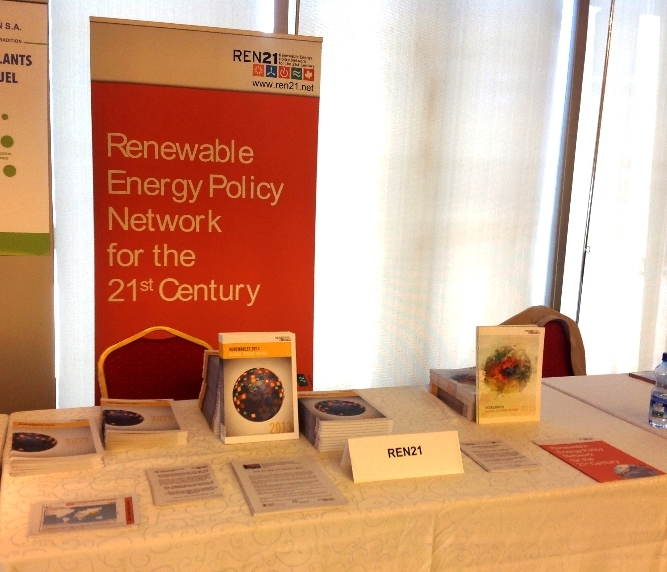 REN21 has recently joined IRENAâ€™s Coalition for Action. Members of the coalition agree to support an energy transition to sustainable, renewable energy by committing to promoting renewable technologies, sharing experiences and material and engaging with the public. The Coalition is made up of a wide range of stakeholders. Financial issues are critical to the long-term Â­sustainability of mini-grids. Questions such as the role of the private sector, local tariffs and subsidies, and international financing are essential to consider when developing rural electrification programs or stimulating private investment. This one-day workshop will introduce investment Â­initiatives and Â­funding mechanisms to increase overall energy access, offer recommendations about financing mini-grids and present up-to-date developments. Participants will meet users of renewable energy systems and mini-grids, those involved in rural electrification, manufacturers and suppliers of renewable energy systems and energy storage technology, energy consultants, public utilities, users from developing countries, development programme specialists, energy policy makers, and others. encouraging government involvement to inspire investor confidence. 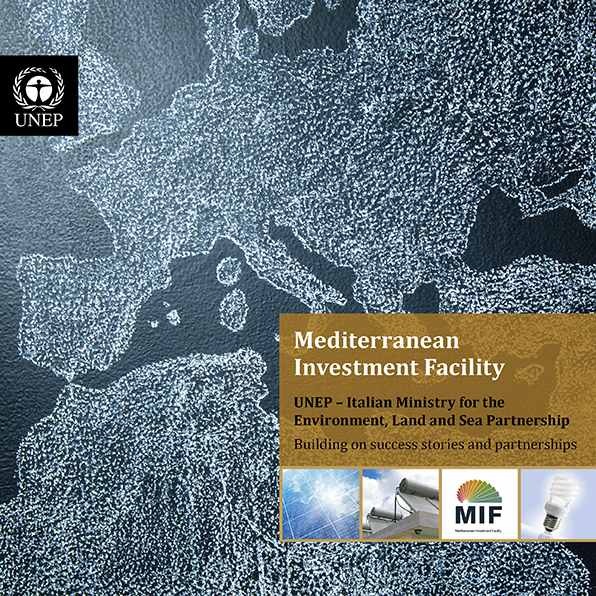 Established in cooperation with the Italian Ministry for Environment Lands and Sea, the programme's goal is to create and expand renewable energy markets in the Mediterranean region. Through innovative financing mechanisms, MIF is a clear example of how clean technologies can be made affordable to end-users and attractive to investors. The 2nd International Off-grid Renewable Energy Conference and Exhibition (IOREC) will be held in Manila, Philippines 16â€“17 June, 2014. 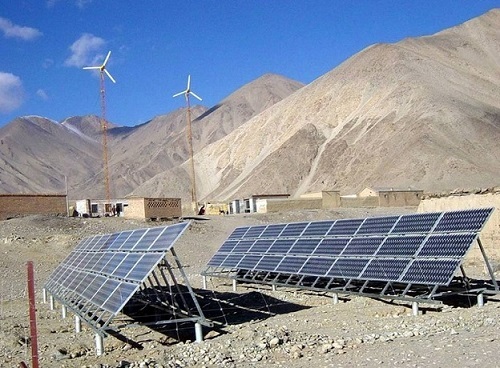 The event is co-organised by the International Renewable Energy Agency (IRENA), the Asian Development Bank (ADB) and the Alliance for Rural Electrification (ARE). Following the success of the first IOREC (2012 Accra, Ghana) the 2014 IOREC will expand its role as a global platform, promoting dialogue between stakeholders, in particular the public and private sectors, and advocating off-grid renewable energy deployment to extend electricity access in rural and peri-urban areas. In parallel, ARE will organise an exhibition where the private sector will be able to present its products and projects, and where stakeholders will be able to network widely. IOREC will also mark the beginning of the Asia Clean Energy Forum 2014, 16â€“20 June, 2014 at ADB headquarters. Details on the programme and how to register for the conference and exhibit will soon be available on the IOREC website. For general queries contact IOREC at: Conference or Exhibition. supporting a group of progressive developing countries (led by the BASIC countries of Brazil, South Africa, India and China) to deepen energy sector reforms to attract investments in distributive energy systems and sustainable infrastructure. Named Solar Coalition for Increased Cost Reduction, Energy Efficiency Coalition and Coalition of Progressive Transformers respectively, these three coalitions are in keeping with the three interlinked targets of SE4All: increasing access to energy, improving energy efficiency and increasing the use of renewables by the year 2030. The Coalitions will also support the creation of a dedicated goal on â€œsecuring sustainable energy for allâ€ in the post-2015 development agenda. Wind power and solar photovoltaics (PV) are crucial to meeting future energy needs while decarbonising the power sector. Deployment of both technologies has expanded rapidly in recent years; one of the few bright spots in an otherwise bleak picture of clean energy progress. However, the inherent variability of wind power and solar PV raises unique and pressing questions. 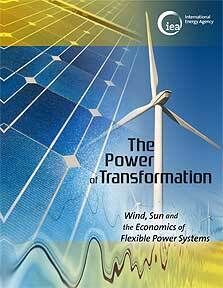 recommends how to achieve a cost-effective transformation of the power system. The publication summarises the results of the third phase of the Grid Integration of VRE (GIVAR) project, undertaken by the IEA over the past two years. It is rooted in a set of seven case studies, comprising 15 countries on four continents. It deepens the technical analysis of previous IEA work and lays out an analytical framework for understanding the economics of VRE integration impacts. Based on detailed modelling, the impact of high shares of VRE on total system costs is analysed. The four flexible resources which are available to facilitate VRE integration--generation, grid infrastructure, storage and demand side integration--are assessed in terms of their technical performance and cost-effectiveness. 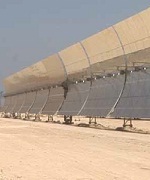 Concentrated solar power (CSP) technologies have several advantages over solar photovoltaic and wind power technologies primarily with regards to: (1) the capacity of heat energy storage; (2) the application of turbines and generators (which are part of the mature power market), and (3) the option to build a large solar power station. However, CSP has a high up-front investment cost. For example, today the annualised production costs of CSP technologies are three- to four-times higher than wind technologies. In partnership with the World Bank, the Global Environment Facility (GEF) has developed a portfolio of three CSP demonstration plants in Mexico, Morocco, and Egypt, and approved a new CSP project in Namibia. Solar power generation capacity of these three demonstration plants collectively is approximately 70 MW. The new GEF CSP project will also support the construction of a 50 MW CSP plant in Namibia. With this work the GEF hopes to stimulate progressive cost reductions through increased market share of private sector investments. More information about this work can be found in Investing in Renewable Energy: the GEF Experience and in our newsletter. Climate Technology Centre and Network is now open for business! The Climate Technology Centre and Network (CTCN), the operational arm of the UN Framework Convention on Climate Change (UNFCCC) Technology Mechanism, is now open for business. Country-driven: to provide requested technical assistance to developing countries that supports the transfer of climate technologies. Responsive: to provide high quality technical assistance quickly and at no cost for the requesting country. Capacity building: to work with national stakeholders to build or enhance endogenous capacities. Collaborative: to work with stakeholders engaged in a wide range of activities related to climate technologies with the aim of facilitating south-south, north-south, and triangular collaboration. Catalyser: to build on previous work carried out in the countries and creates links with other initiatives, in order to back up, complete and speed-up the transfer of climate technologies. CTCN is located in Copenhagen, Denmark and is headed Mr. Jukka Uosukainen. For more information, please visit the UNEP CTCN website. The World Bioenergy Association (WBA) has been busy in 2014. At the request of the government of the Autonomous Province of Vojvodina, Serbia, the WBA is developing an action plan to implement sustainable bioenergy projects across the region. Heinz Kopetz, WBA President, visited the region in late February to organise a workshop aimed at identifying which existing heating plants could be selected and converted from natural gas to biomass. In February, the WBA also began work on creating draft guidelines for the creation of bioenergy associations at the national or regional level. The formation of more bioenergy associations would help supply the tools needed to support legitimately sustainable bioenergy industry practices and to promoted these practices globally. In advance of 2014, the WBA met with 39 embassies in Stockholm to promote the World Bioenergy Conference 2014, which will take place early June in JÃ¶nkÃ¶ping, Sweden. During this conference the WBA will hold its General Assembly where all members will have the opportunity to discuss with WBA members and the Board of Directors the WBAâ€™s activities and offer suggestions for future projects and strategies. The International Solar Energy Society (ISES) is organising two important Regional Conferences in 2014. Collectively, these conferences will bring together the research community with decision makers and renewable energy practitioners to show how renewable energy technologies are transforming the global energy sector. The ISES Asia Pacific Conference is being held as part of the Grand Renewable Energy 2014 at the Tokyo Big Sight Conference Facility 27 Julyâ€“1 August 2014. The GRE 2014, with its broad technical programme, also hosts a major exhibition which is attended annually by over 25,000 visitors. Every four years ISES holds its regional Asia-Pacific conference as a part of this event to encourage broader international participation. ISES is also organising the biennial ISES EuroSun Conference 2014 which will take place in Aix-les-Bains, France 16â€“19 September, 2014. This conference offers opportunities for researchers to present their latest work on a number of technical topics and provides a forum for practitioners and decision makers to discuss the latest market trends and opportunities for renewable energy businesses. The call for papers for both events has been extended to mid-March. Abstracts can be submitted directly through the respective conference web sites. In June 2014, El Hierro (Canary Islands, Spain), which was declared a Biosphere Reserve by UNESCO in 2000, will inaugurate the Gorona del Viento Wind-Hydro Power Plant, making it the first island in the world to power itself entirely from renewable sources of energy. RENISLA2014 will celebrate this achievement and promote real solutions towards 100% renewable energy sources (RES) by presenting sites and projects that have demonstrated that a renewable future is possible and highlighting the emergence of these new renewable energy islands. RENISLA2014 Forum aims to create a space for cooperation and to facilitate the transfer of knowledge, technology and specialised experience to regions working towards energy independence based on RES. RENISLA2014 is carried out in partnership with the RENFORUS Initiative. RENFORUS (Renewable Energy Futures for UNESCO Sites) is a UNESCO initiative that promotes the use of UNESCO Biosphere Reserves and World Heritage Sites as models of excellence to foster the integration of renewable energy for global sustainability. The forthcoming 13th World Wind Energy Conference & Exhibition â€œDistributed Wind Power" will be the biggest wind energy event ever held in China. More than 500 experts from 40 countries are expected to attend, amongst them top wind and renewable energy experts. The WWEC2014 will tackle the theme "Distributed Wind Power â€“ Matching Generation and Demand". The conference will explore how to match generation and demand thus allowing wind power to make a greater contribution to the wellbeing of humans worldwide. The WWEC2014, prepared by the WWEC2014 International Programme Committee, is now available; 150 speakers will present all important aspects of wind power utilisation over 35 sessions. The full conference programme is available here. WWEC2014 takes place in conjunction with the CWEE2014, the leading annual wind energy trade fair in Shanghai. You can register here for WWEC2014. Early Bird Registration is open until 25 March! 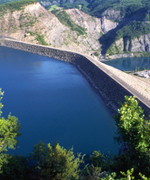 Hydropower (including pumped storage) is increasingly playing a complementary role in mixed energy systems. Hydro generation is often the buffer between supply and demand for electricity energy. It can also act as a frequency regulator, provide energy storage, and deliver a range of other ancilliary benefits. Storing energy in water--one of the few efficient, proven and flexible methods available at the utility scale--also provides benefits in terms of navigation, flood control and environmental services. During World Water Day 20â€“21 March, 2014 in Tokyo, and at the upcoming World Water Week in Stockholm, 31 Augustâ€“5 September 2014, the International Hydropower Association (IHA), the UN-University FLORES and the Centre for Environmental Design of Renewable Energy (CEDREN) will bring together interested parties to discuss the the multiple roles of hydropower and the relationship between renewable energy and water. For more information please contact us or visit the conference websites: World Water Days | World Water Week. 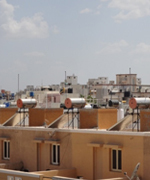 Launched in 2008 by the Ministry of New and Renewable Energy (MNRE-Government of India) the â€œDevelopment of Solar Citiesâ€ programme supports 60 Indian cities and towns to achieve a minimum reduction of 10% in projected demand of conventional energy over five years. These reductions will be through a combination of energy efficiency measures and use of renewable energy sources. The South Asian Secretariat of ICLEI--Local Government for Sustainability is working with 14 of these 60 cities, helping them plan and carry out the corresponding energy related initiatives. Ten cities have finalised their master plans and have begun the renewable energy pilot phase. As per their master plans, the total potential of renewable energy installation in the ten cities is anticipated to be 244,942 KW with an emissions reduction of up to 1,372,972 tons. Investment opportunities are estimated to be 936 million USD. Click here to find about more about ICLEI South Asiaâ€™s activities in the â€œDevelopment of Solar Citiesâ€ programme. GWECâ€™s annual market update on the status of the global wind industry will be launched at the beginning of April. The report gives a comprehensive snapshot of the global wind industry, now present in over 80 countries. This year's edition includes insights into the most important wind power markets worldwide, future trends with projections for 2014-2018, a special focus chapter on 100% renewables, an overview of the current status of global offshore wind and much more. A webinar presenting key trends together with future projections will also be organised on the launch date. Get your own copy of the report and join us at the webinar. Closer to April launch please see thw GWEC website or contact Lauha Fried directly for further details. Copyright Â© 2014 REN21 c/o UN Environment, All rights reserved.